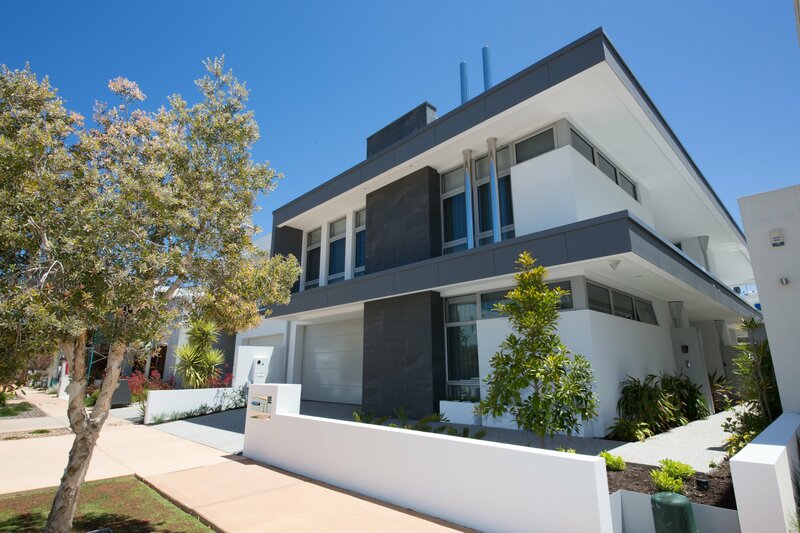 Narrow lot homes in Perth require custom design to enhance the block size and landscape. 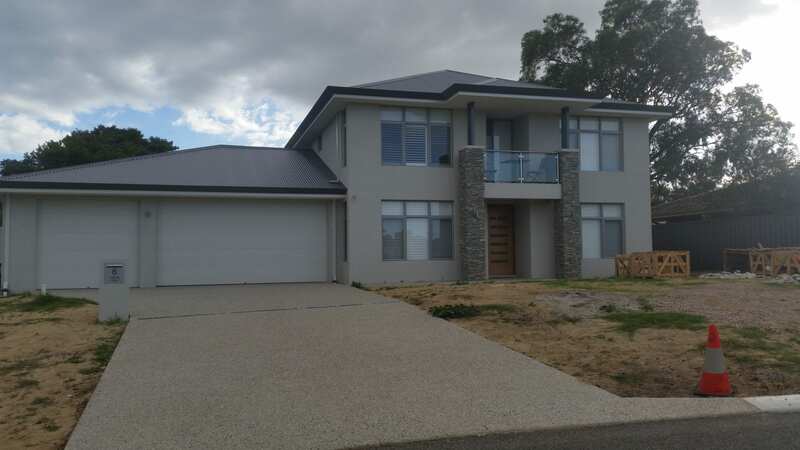 If you would like to build your dream home in Perth or the South West, you could not be in better hands than asking DESIGN & CONSTRUCT RESIDENTIAL to design and build your unique home. 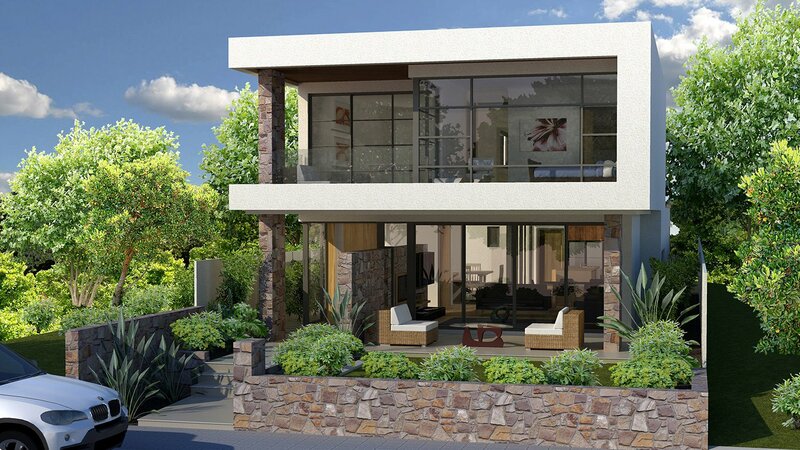 Narrow lot homes in Perth are becoming more common, not only due to the scarcity of land, but also for the low maintenance aspects, including the “Lock & Leave” advantages that they offer. Also, as more councils are allowing subdivisions, you can capitalise on rezoning your block and building your dream home. Design is critical with narrow blocks, as the challenge is to maximize a feeling of space and volume in your home, along with a seamless connection between living areas, alfresco and sun filtered courtyards. 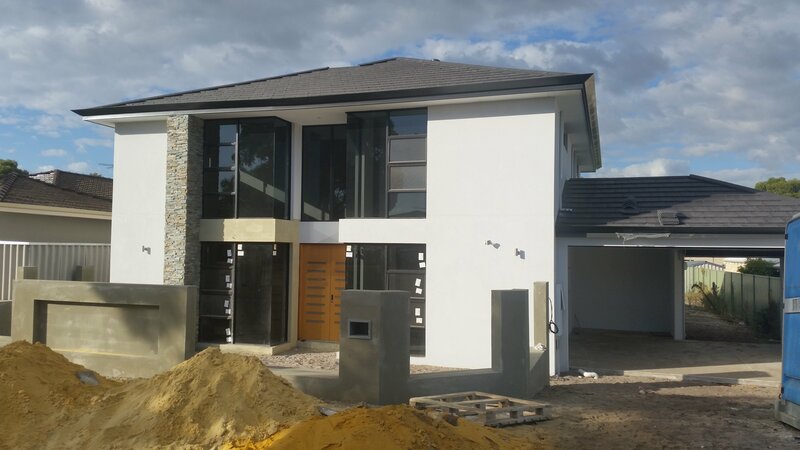 We are the narrow lot homes Perth design experts. 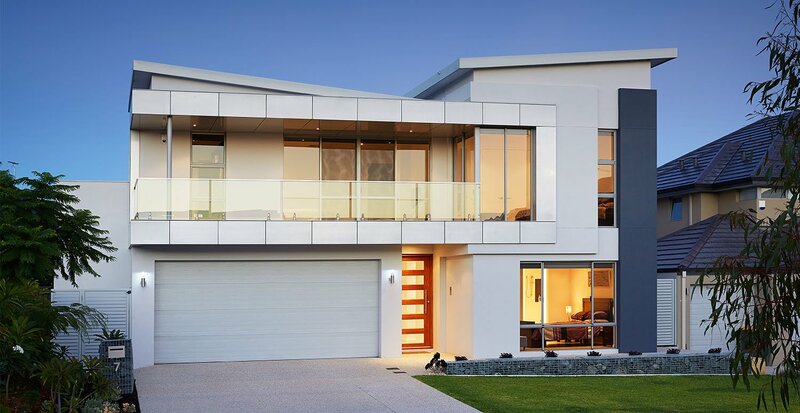 Many of our clients come to us looking for 10m frontage 2 storey home designs to suit their block and lifestyle. 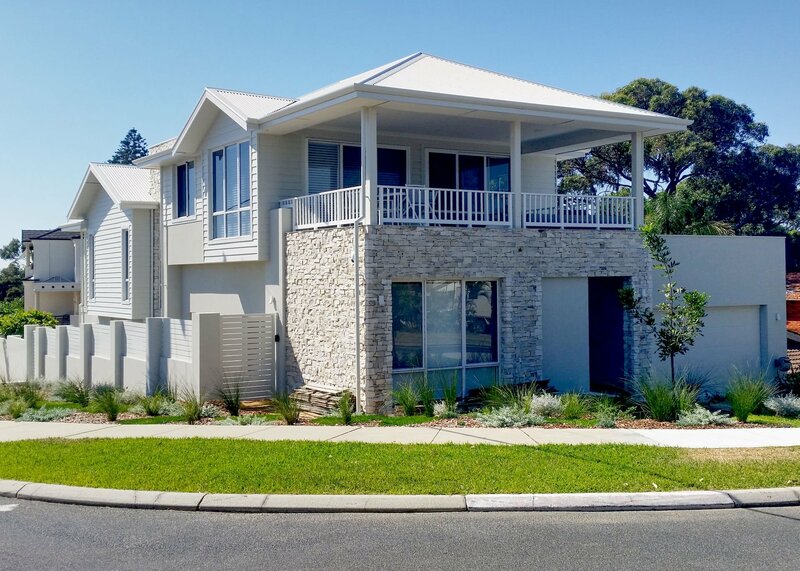 This is a common smaller block frontage in Perth due to council zoning and we have many examples of homes we have had built and each is unique. 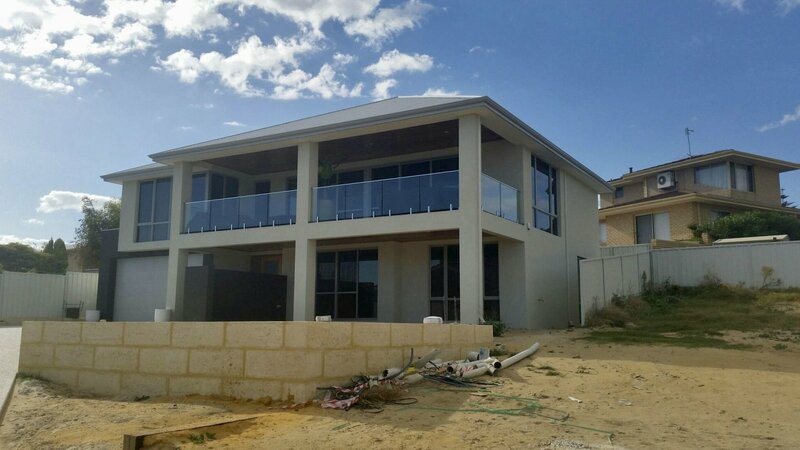 On a 10m wide block, there is also plenty of scope for building luxury 3 storey homes, especially when ocean, river or Perth city views can be acheived. A kitchen which flows onto a well equipped alfresco would always be our aim in designing your home. Built-in BBQ and perhaps a Pizza oven would definitely compliment our Perth lifestyle and can be the nucleus of the home, especially during those hot summer nights entertaining friends and family. 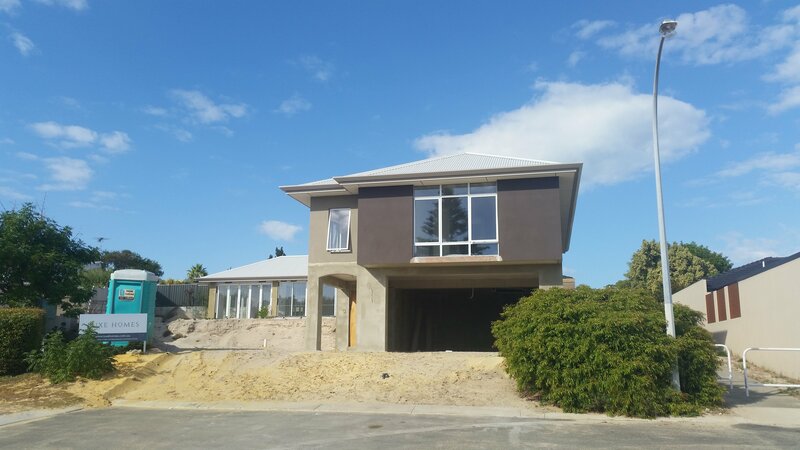 Narrow Frontage Home sites in Perth being more popular these days now require special design skills to maximize the potential of the block. With high density living, privacy is an important element that should be addressed alongside maximizing the winter sun and solar aspects. Narrow lot house plans with rear garage are a challenge that we cater for as well, and we always design the home to have an entry directly into the home from the garage. We cater for blocks down to 10m and each home we design is a one off design specially created to suit your requirement and to comply with all council and estate guidelines and the good news is it costs you no more. Our experienced design team will save you money by developing an efficient design where you are not paying for unwanted passageways or wasted unused spaces but creating spacious livable rooms. With our specialist narrow lot builders the competition to get your business is very intense and you can be assured of getting the very best price through our unique Tender System. Let us show you the potential of your narrow block. 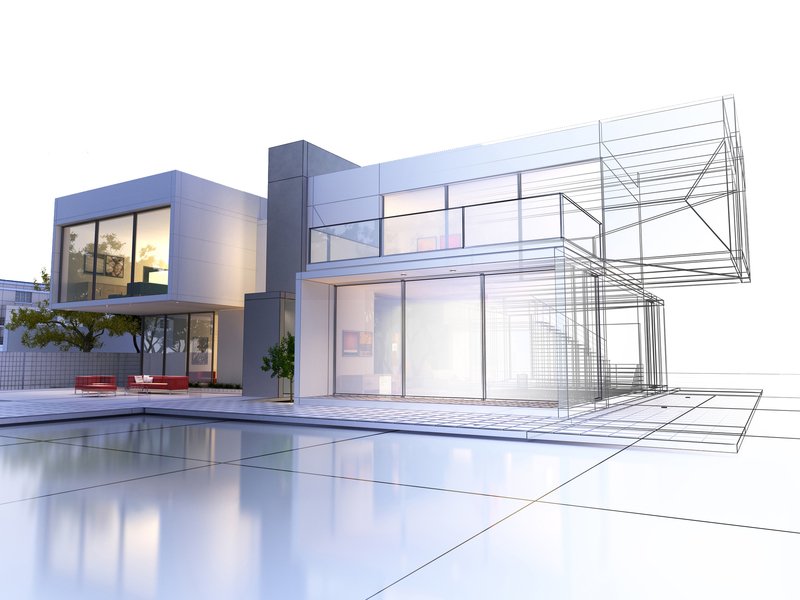 Contact Design & Construct Residential today for an obligation free consultation.